and values of our historic century-old Tennessee farm. Private and secluded. Easy to find while idyllically tucked away from the sounds of traffic and busy highways. All venues are beautiful and have something special to offer. However, offering the guest the advantage of truly being away from the noise and interruption of highways (i.e., sirens, honking horns, and loud motors) is one feature we can offer that many area venues cannot. The Great Smoky Mountains shared by our next door neighbor Blackberry Farm. 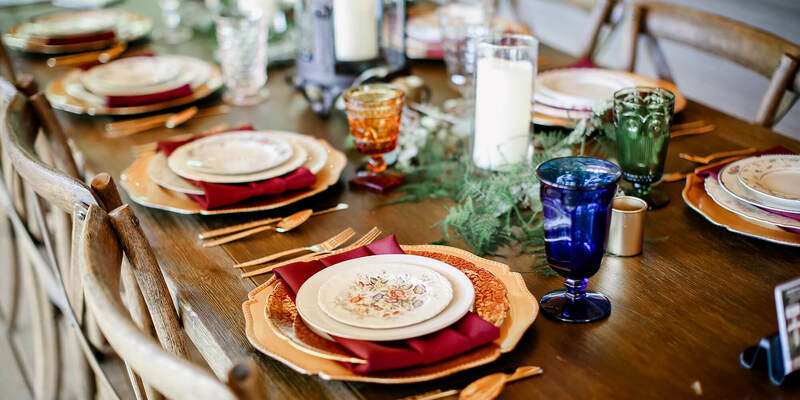 Blackberry Farm is recognized as a choice destination for clientele with a passion for excellence, exceptional services and luxury experiences, and beauty of the surrounding mountains. Celebrity guests have enjoyed the solitude and beauty of the facilities at BB Farm. 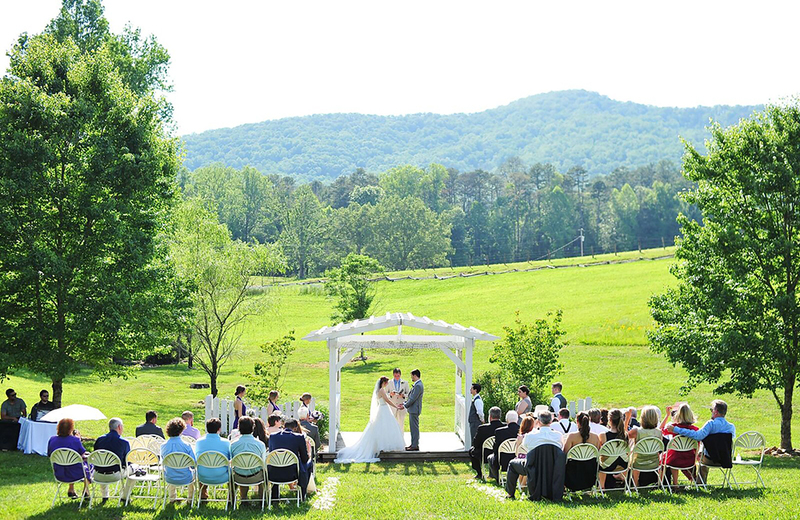 Kelly Clarkson’s gorgeous ceremony was held on the property and featured in People magazine. Sampson’s Hollow has the same amazing views, the same attention to exceptional guest experience, but at a fraction of the cost. For out-of-state clients/brides. 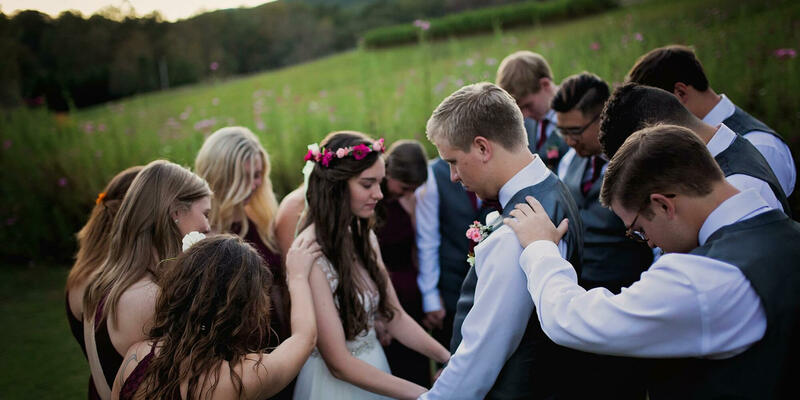 Approximately 67% of our weddings are from brides and grooms who live in other states. We have had brides from Washington state, California, New York, Pennsylvania, Nebraska, Colorado, Connecticut, Michigan, Ohio, Massachusetts, Montana, Texas, Louisiana, Florida, Mississippi, Missouri, Kentucky, Georgia, Alabama, South Carolina, North Carolina, Virginia, West Virginia, Minnesota, Canada,Denmark and Puerto Rico with requests for information from China, Canada and Great Britain. 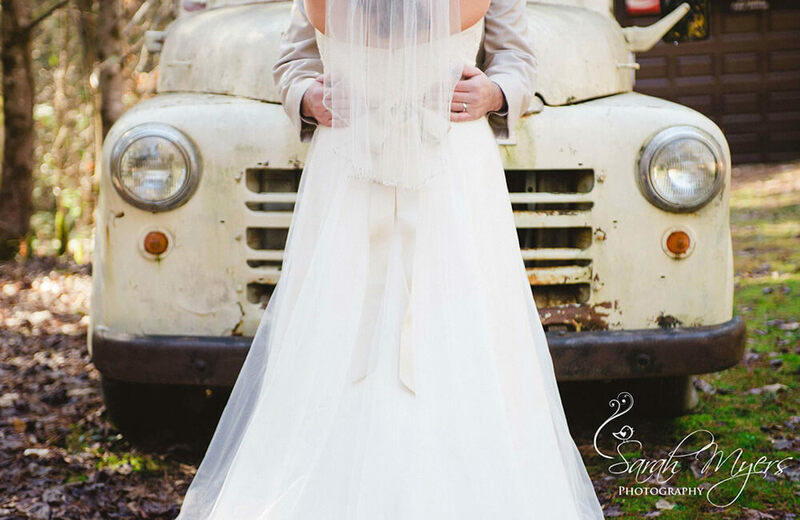 Many of our out of state brides book with us without ever having visiting the property. 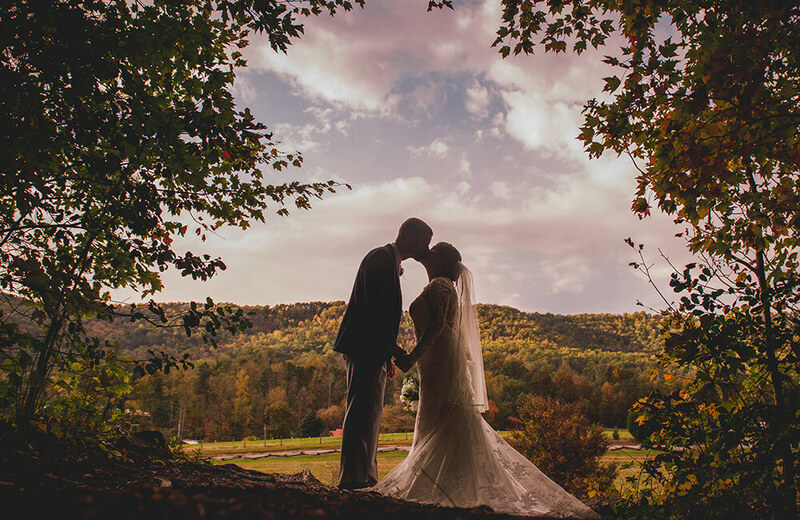 Having a wedding in the Great Smoky Mountains is a dream come true for many and we do our very best to provide contact information and points of reference to those brides who just can’t visit until the week of their event. While we have wedding and reception packages that offer a lot of choices at a bundled price, we always listen to the bride describe her vision and dream event. Tell us what you want included in your wedding package and we will do our best to personalize something that reflects that storybook event. We offer exceptional value of additional services and features without additional fees. Our guests are not required to use any of our in-house services. Of course, we prefer that you do because we believe that we know our property better than anyone else. We can make recommendations and refer you to professional caterers, photographers, florists and other wedding day services. If we can’t take care of that service for you, we’ll help you find someone who can. Probably the most important takeaway from your wedding day will be the photographs that you will have to enjoy for years to come. There are a multitude of gorgeous locations on the farm that can be used for stunning backdrops for your once-in-a lifetime photography. Our guest service staff will use our golf carts to transport the bride and groom and photographer around the vast property so that time is efficiently managed to do all the photos that you desire. There will always be experienced staff on site to assist your guests and to answer questions. Prior to the event date, our clients are encouraged to email or call to ask questions and discuss their plans.